Allied Technologies offers fast and friendly computer repair for both homes and businesses. 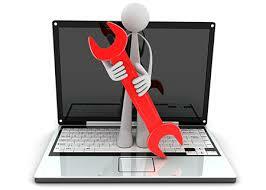 We fix desktops, laptops, tablets and more. We can repair both PC and Mac. Our friendly technician can come to your home or business, or you may schedule an appointment for drop-off. Our computer repair technicians are hand-picked to be the most friendly and personable in Port Charlotte. We ask the right questions, set the right expectations and are thorough and diligent enough to get the job done completely and right the first time.